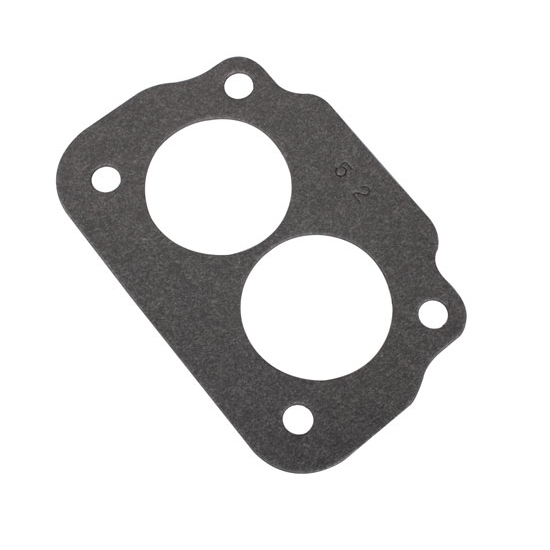 This 2 barrel carburetor base gasket is made from a durable heat-resistant nitrile rubber compound material and precision die cut for an excellent fit. Works with Rochester 2GC "large base" (2" x 3-11/16" bolt pattern) two barrel carburetors. Carb gasket is a 2-hole design that is 1/16" thick.